This burnt orange knit is a constant in my wardrobe. 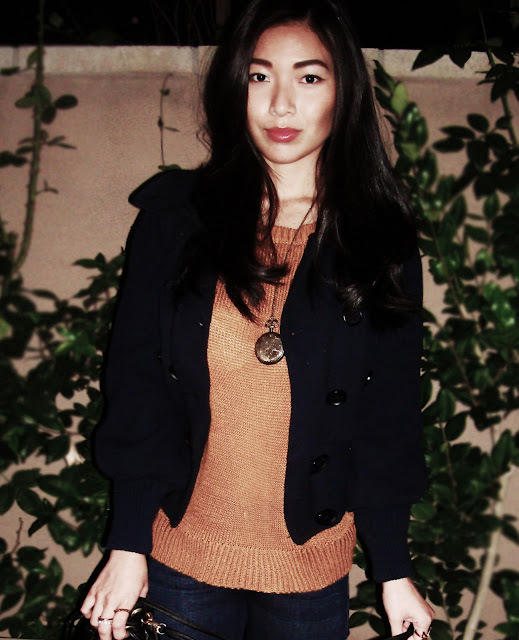 I love sweaters that are lightweight but have a certain heaviness to it to keep you just warm and cozy and fitted. Also taking out my favorite mini studded bucket bag for a spin on a chill(y) night out. Love the rings!!! They're awesome where did you get them from? Love the jumper and the accessories! That color is perfect, and your bag is gorge! Love that you can wear orange! I know the feeling of having a favorite sweater and just wearing it all the time as a staple! i love burnt orange. orange is one of my favorite colors in general i think. you wear it well!! cute look! love the orange!